The study of criminal careers is of increasing interest in criminology. It is now generally recognised that it is important to try to understand criminal behaviour across the life-course rather than focusing on fragmented incidents which provide only a partial picture. 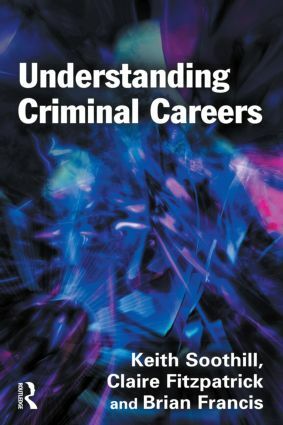 This is an accessible text which clarifies the crucial theoretical and methodological debates surrounding the study of criminal careers. It focuses on some major longitudinal studies discussing the onset, persistence, desistance and the duration of a criminal career. The important topics of prediction, risk and specialisation are addressed. The challenging question of 'When do ex-offenders become like non-offenders?' points a way forward. The book concludes by proposing an even more ambitious approach to the topic of criminal careers. Criminal careers for everyman – and woman?